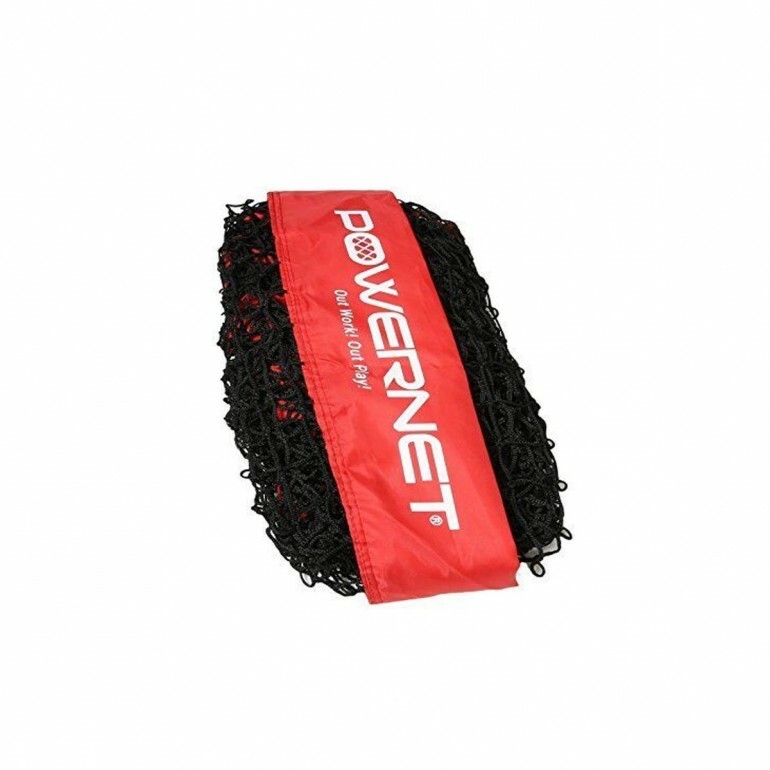 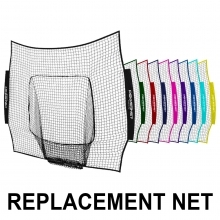 This heavy duty net measures 7 feet by 7 feet and is a replacement net for the POWERNET 7' x 7' Original Pop Up Hitting Net, sku A32-801 (see below). It will also fit most 7x7 bow style baseball net frames. 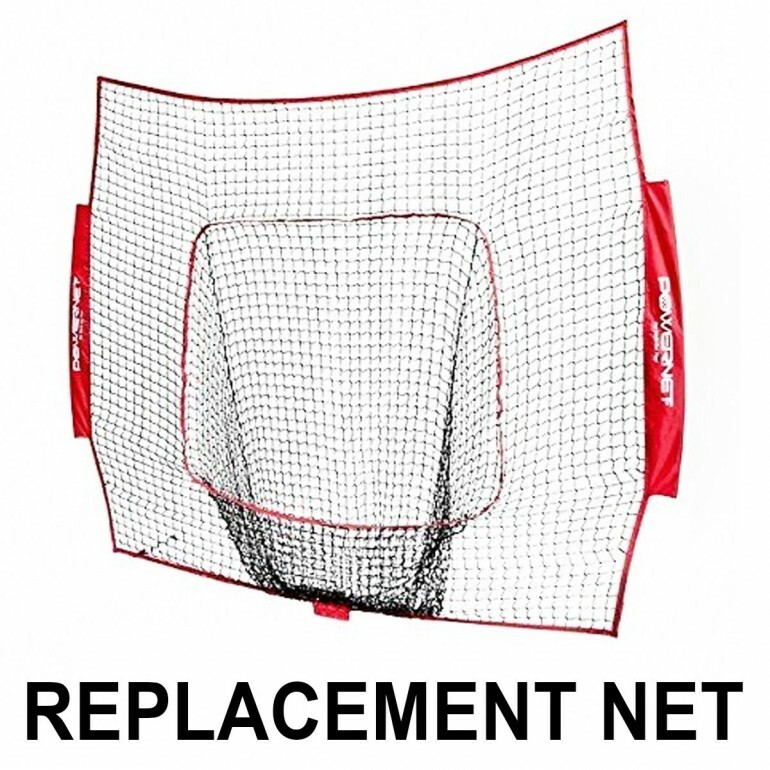 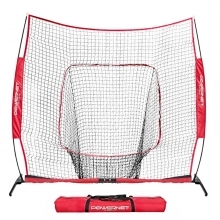 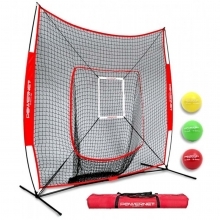 Made with high quality strength materials, this net features a big red target pocket, which is ideal for batting practice and pitching training.